1.) Hire a great project manager. A great project manager is able to get good work out of mediocre programmers. Also, great project managers have a good intuitive feel for how long tasks should take, so if some task misses its deadline, the project manager will know why. They will know if external factors delayed the task, or if the programmer was to blame. In that sense, they offer great early detection of which of your hires are good, and which are terrible. 2.) Hire a great devops person. Devops is one of those activities where it is much better to have one superstar than three mediocre workers. You should pay the right devops person very well. In much of the USA, right now, $160,000 would be a good salary for a great devops person. In San Francisco, that would be more like $220,000. Get one really great devops person and pay them very well. Remember that they will generally be working at least 50 hours a week, and during emergencies they might be working 70 hours a week. That is one reason they need a good salary. Or you can pay them hourly, but that is very expensive. The best devops consultants that I know of, in New York City, bill $300 an hour, but if it is a long-term contract they offer discounts that bring that down to $200 an hour. Still, you will end up paying them between $8,000 to $10,000 a week. Don’t get me wrong, this can be an excellent investment. Especially if you are going into a field that needs 99.999999% uptime, ultra high levels of reliability, then pulling in a superstar and getting everything setup the right way, at the start of your project, is money well spent. 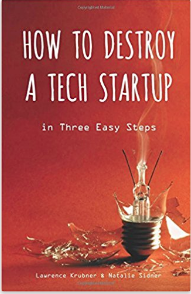 When I tell entrepreneurs “One superstar devops person is better than three mediocre people” some people say “But then you have a single point of failure — what if they get hit by a bus?” But an interesting fact about the great devops people is that they are relentlessly automating themselves out of existence. They tend to document everything very well, their code is a joy to read, their decisions make sense and can be easily explained. If you have a great project manager, and you have a great devops person, then you can make other mistakes and still recover. The great project manager will warn you quickly when you’ve hired a bad computer programmer, and having great devops means bad computer programmers can’t actually do any damage. You can potentially be sloppy about other hires, but not these two. You need to get these 2 hires absolutely right. Concentrate your effort here.